If you’re at work taking a break to read this, then chances are your mind has wondered yet again to the ocean, the waves and the fresh air. Maybe you’re at school frothing on the life that awaits you and thinking about your future career. Long gone are the days of stacking your boards in your Dad’s shed and moving to the city to pay your way. Here is the generation born into thinking outside the box, work life balance is a mantra preached by many. The first and most obvious choice is to work in hospitality. We’re talking taking up a career as a chef or a restaurant manager. These careers take a few years to work towards, as most employers will want experience and industry knowledge for these positions. But it’s a given that if you have the evening shift you can catch the swell in the morning and vice versa. These professions also allow you to travel and work abroad. There are few jobs that translate so easily from one culture to another, this allows you to pick where you want to live. You could find yourself choosing between any number of exotic, surf drenched destinations. Teachers work hard and it’s definitely a requirement that you’re passionate about inspiring the future generation but teachers do also get a substantial amount of paid holiday. That’s two weeks at Easter, every long weekend, half terms and six weeks at Christmas, far more than most professions. Use this time to get lost on your own search visiting some of the world’s best breaks. Take almost any skill or trade you can think of and work fly in, fly out or FIFO. If you can negotiate a decent roster this could see you working shifts and then taking chunks of time off to fill with waves. Who wouldn’t work eight days to get a whole week off? Whilst this lifestyle takes practice and a level head it is undeniably one of the best paid ways to work and surf in equal proportion. Some smart shredders have even taken to living in Indo, so on their time off they fly out to pumping coastlines with some of the most premium waves you’re ever likely to find. Pick a trade, health and safety or the environmental sector for the best opportunities. This allows you to structure your own time. If your local is firing in the morning then you can work late that evening to compensate. You can structure jobs around surfing and since you are the only one you have to answer to, you never have to ask to book leave for your next trip. Freelancing lends itself beautifully to business consulting in areas such as business development, marketing and brand management. Creative disciplines such as writing and photography are also viable options and could even see you combining your work with your love of surf. If you’re a personal trainer, physiotherapist or a yoga instructor, going it alone and building your own client base is yet another way to make this option work for you. Got a killer idea for a product or service? Why not start your own business? Whilst this can take time and money to set up, there are few things more rewarding than seeing your dreams evolve and grow into a tangible and profitable business. Think Deus at The Temple of Enthusiasm in Bali. Even some of the biggest surf brand names started in their back garden with boardshorts or a homemade wettie. The possibilities are endless given the nature of the online marketplace today. Ultimately your own business makes you your own boss and that means you call the shots. Mould your business around your lifestyle and live your dreams in real time. There are a myriad of opportunities available within the surf industry that could see you scoring endless peaks. Work as a surf instructor, manage a surf camp, get into event management with the ASP, captain a surf charter boat, work in the media, perfect your board shaping skills, work for any number of surf companies in everything from retail to customer relations. Use your imagination. You no longer have to choose between surfing and getting paid. We’re interested to hear how you combine working and surfing. 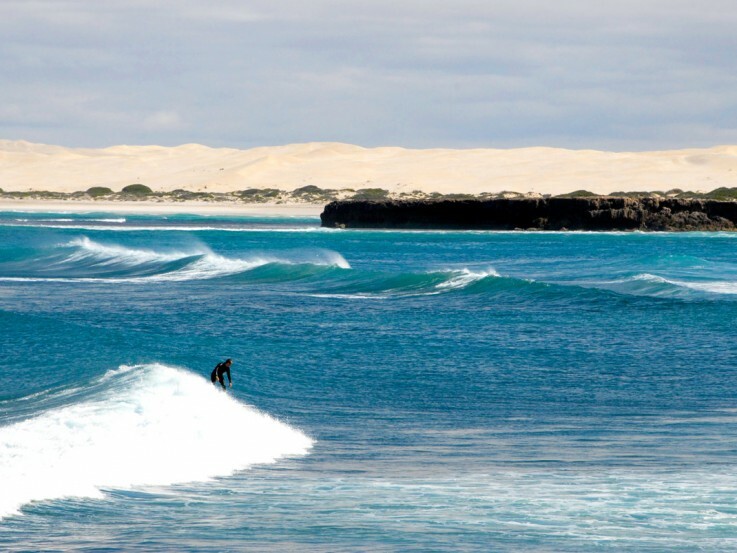 What other careers do you rate as surf friendly?